The United Bank offers two distinct financing programs that will allow you to own your house. Individuals program for buying and finishing residential, commercial and administrative units as well as housing finance program – CBE initiative. Financing up to 80% of the value of the unit. Financing up to 10 million EGP. Repayment duration up to 15 years. Easy repayment of funds through branches and ATM in addition to various electronic channels. Finance all customers, Resident Egyptians, Non-resident Egyptians, Resident foreigners, Employee or self-employed. 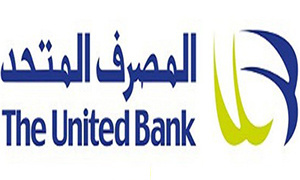 Fixed and subsidized income during the financing period according to the Central Bank of Egypt. Financing up to 85% of the unit value. Equal monthly installments throughout the funding period. The possibility of integrating the husband's income to wife income to increase the value of funding. Repayment period of up to 20 years.